Disc: (5/1956)1. Black label, dog on top. New Orthophonic on right side. Catalog number on left side. 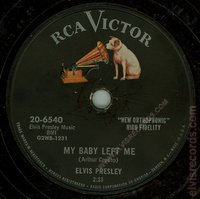 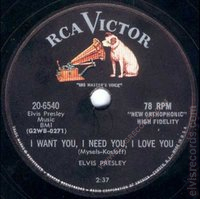 Released in 1956 by RCA Records on 45 RPM as I Want You, I Need You, I Love You / My Baby Left Me.